When you are on a low calorie diet, it is better to avoid alcohol, but taking it at a moderate level cannot harm your health. Cocktails are your options that you can take even within your low calorie diet. There are some Indian cocktails, which come in low calorie that maintain your calorie limit for staying active. In the summer season, to satisfy your thirst, you have many options and you can choose fruit, liquor and other types of cocktails. 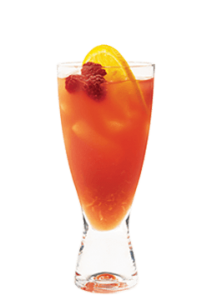 In India, summer cocktails are mainly refreshing and the content deals with 10 best low calorie cocktails which you can have it in summer. 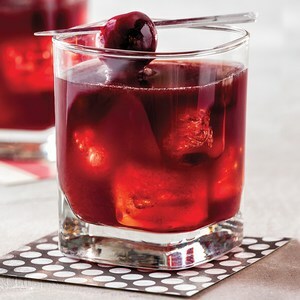 Cherry adds a fresh flavor in this cocktail. You can use blackberry seltzer, but the normal seltzer can also be used. The best thing is you can make it at your home and for which you need ingredients including cherries, mint leaves, dark rum, lime juice and cherry flavored seltzer. Put cherry, mint leaves and sugar in a glass and smash all the ingredients together. Stir this mixture in lime and rum and add seltzer. 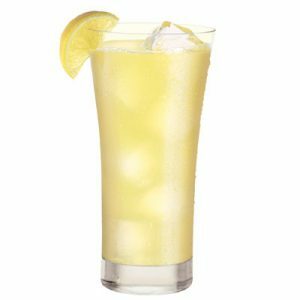 Lemonade is a good option to quench your thirst in summer and when you add vodka flavor to it, this cocktail gives a mind blowing flavor. It contains Citroen vodka, fresh lemonade and lemon wheel. In a cocktail shaker, you need to shake vodka and lemonade together. Serve it with ice cubes and definitely satisfy your summer thirst. This cocktail counts your calorie intake and one can easily make this cran razzy. You need seltzer, juice and drinks, including vodka and cranberry. It contains the flavor of cranberry and raspberry foods. For this cocktail, you need raspberries, cranberry, seltzer, lime juice and vodka. It does not contain any cholesterol and unsaturated fat which is good for your health. Your body needs to keep cool, especially in the hot summer season and cucumber and lemonade both things give you relief from the hot temperature. 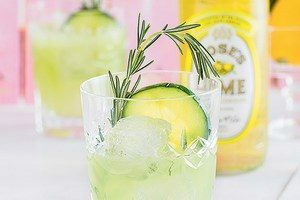 This cocktail contains the rosemary, water, gin, and lemon juice and agave syrup. The nutrients that it includes are 169 calories and the fat, cholesterol and sugar level is zero. For your health, this cocktail is a good option. Red sweet grapes give awesome taste to this cocktail. 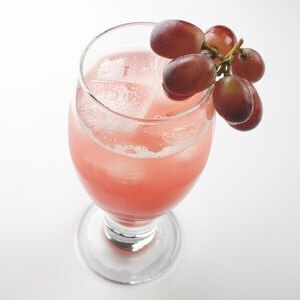 You can easily make this cocktail with red grapes, lemon juice, honey, seltzer and vodka. Make puree of grapes and the puree should be smooth, then add lemon juice and honey; mix it well. After that, mix it in seltzer and vodka. The nutrient value of this cocktail does not include saturated fat, cholesterol and sugar, which is good for your heath. In hot summer, monkeylada satisfies your taste buds, which is prepared with banana, pineapple and coconut milk. This cocktail needs ingredients including ripe bananas, fresh pineapple and its juice, coconut milk, ice cubes and light rum. 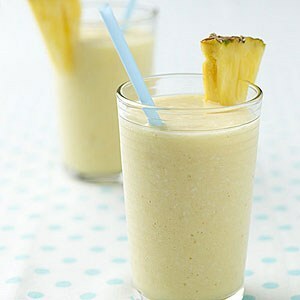 You need to mix banana puree, dice pineapple and pineapple juice and coconut milk with rum. Serve this cocktail with the ice cubes. This cocktail contains 228 calories, saturated fat 2g, no cholesterol, dietary fiber 2g and sodium 12mg. You can make this cocktail in a very easy way. For this you need ingredients, including seltzer, peach juice, dry white wine, honey and fresh peach. Mix peach juice and seltzer and then add wine and honey. You need to stir until the honey gets dissolved. Your peach wine cooler is ready to serve. The per serving nutrient content of this cocktail is 114 calories, sodium 8mg and carbohydrate 19mg. For the summer season cocktail, it can definitely serve your demands. This cocktail is made with tomatoes and pepper, which you can easily find in summer; and this cocktail gives some essential nutrient too. 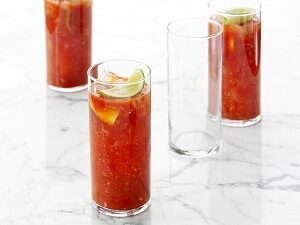 For this you need ingredients, including tomatoes, lemon juice, jalapeno, horseradish, Worcestershire sauce, sugar, celery salt, freshly ground pepper, vodka, large green olive and dilly beans for garnishing. Blend all the ingredients and then mix it with vodka. Refrigerate it for cooling. The nutrient content of this cocktail is 136 calories, 154mg sodium and it does not contain saturated fat, cholesterol and sugar. This pink colored cocktail prepared with watermelon gives you a refreshing sense in the hot summer. For which you need ingredients including watermelon, gin, lime juice and ginger ale. 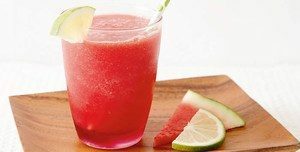 Make watermelon puree and put it in a glass, then topped it with gin, lime juice, ginger ale. Per serving, this cocktail contains 153 calories. Mint green tea gives you a healthy start for your summer season. 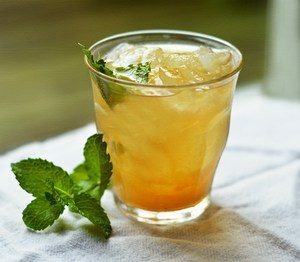 To make this cocktail, you need ingredients including fresh mint leaves, green tea bags, honey, boiled water, lemon grass. This is a very low calorie drink and good for your health too. It counts 76 calories per serving and contains other nutrients as well. Mix mint leaves, honey, tea bags in boiled water. Remove the tea bags after steeping it for 5 minutes. Add sake to it and if you want nonalcoholic drink, then do not add the sake. Garnish your drink with lemon grass and ice mint green tea is ready.